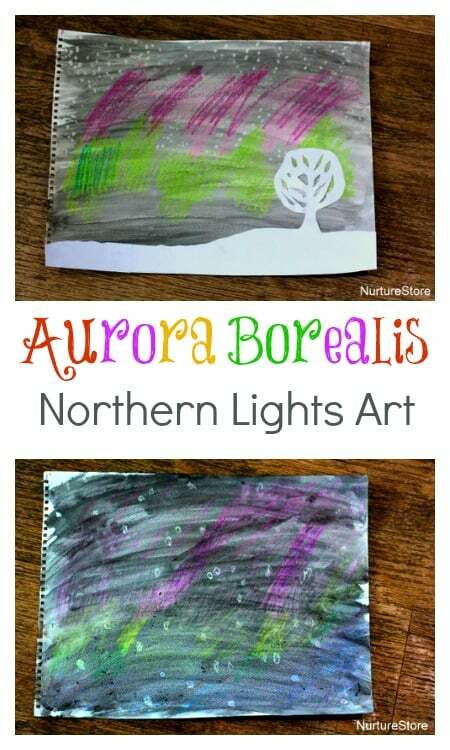 Inspired by sightings of the Aurora Borealis in the UK last week, here’s an idea for a technique you can use to make Northern Lights art for kids. 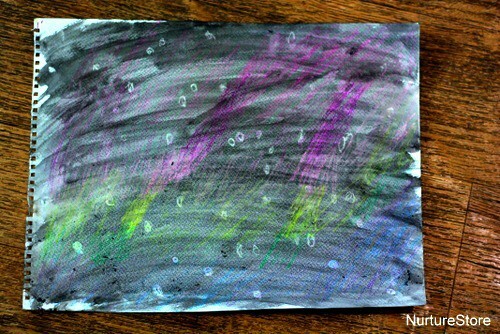 Wax crayons combined with water colours makes a great art technique to create a stary night picture and it’s what we adapted to create our Aurora Boralis pictures. Firstly, we did some research to find out what the Northern Lights actually are. The children described them as a party in the sky – where particles from the sun get the Earth’s gases all giddy and make them start to glow! 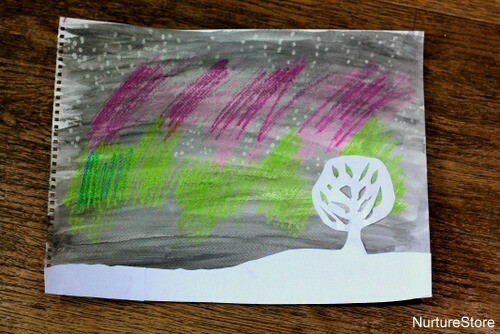 The children watched this Northern Lights video on repeat as they drew and it was a great inspiration for their art. They thought the music matched the dancing lights really well – and did some dancing of their own! We used this Wiki guide to aurora to learn about the different colours of lights in different parts of the sky – and selected our wax crayons to match: red for glowing oxygen high in the sky, green for lower down. 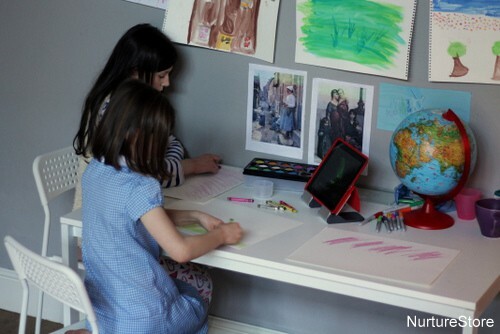 To create our northern lights art we used watercolour paper. We began by drawing our lights across the page in coloured wax crayons. 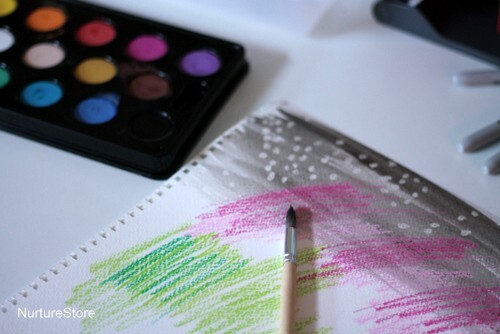 We used dots of white wax crayon to add in little stars. Then, using a black watercolour paint, we washed right over the page. 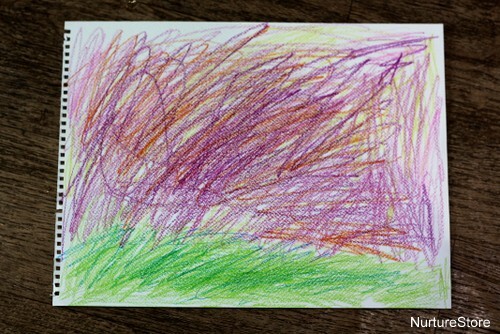 The wax crayon markings resist the water colour, giving the effect of the dark night sky with the aurora borealis dancing across it. 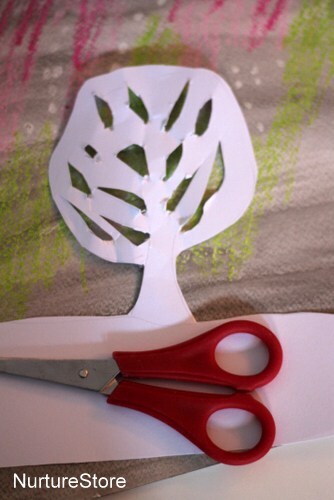 To create a foreground and show the scale of the lights, you can cut out a landscape from black or snowy white card. We kept our design simple, but you might add a forest or houses. 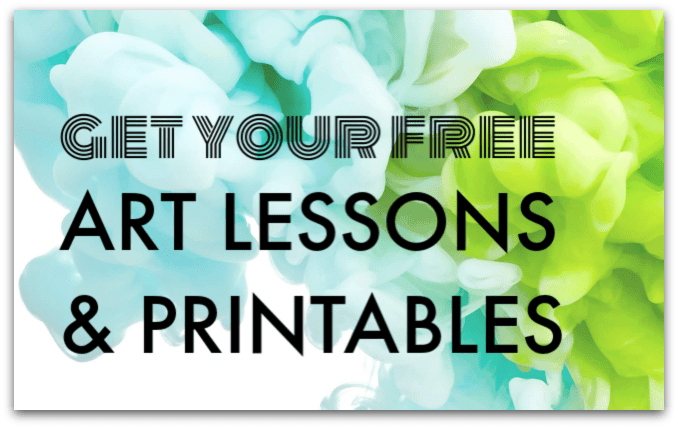 You can glue it along the bottom of your watercolour paper to finish your northern lights art. 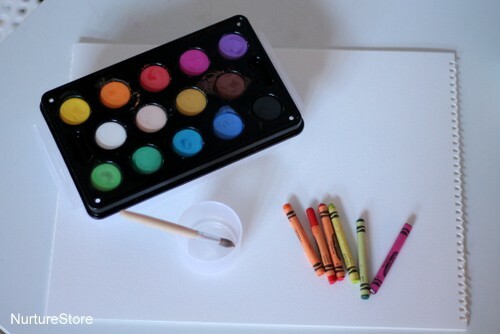 This is a beautiful mult-disciplinary activity! I lived far enough north in the US for a time to see the Aurora Borealis regularly, and you captured it in a wonderful way for children to explore. 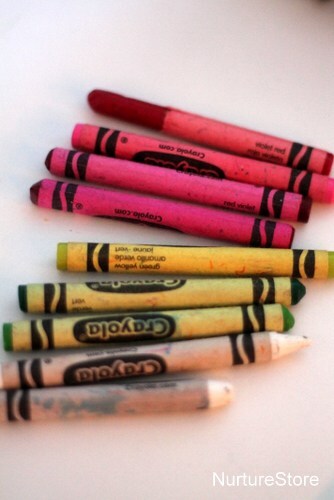 Crayon-resist art is so fun! I love this activity. I am studying the Northern lights withy students and I will do this with them for sure. Thank you.